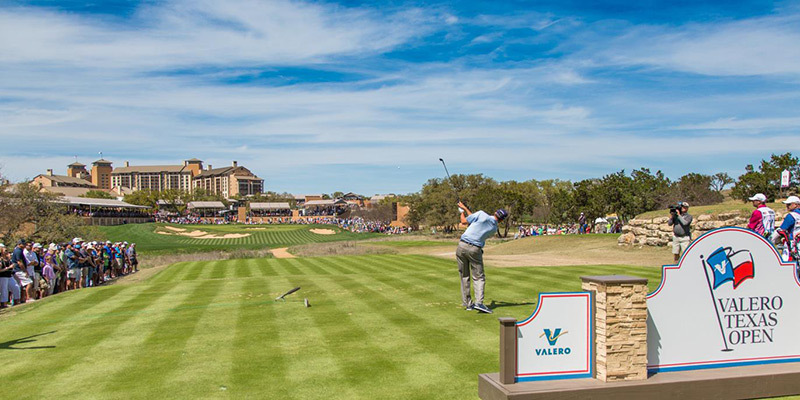 The Valero Texas Open returns to the TPC San Antonio, April 4-7, as one of the PGA Tour’s oldest events looks to crown a new champion. It is the final warm up to next week's Masters and a ticket to the inclusive event is on offer for the winner. The field includes Jordan Spieth, Matt Kuchar and Rickie Fowler and promises a highly competitive tournament in the Texas hill country. The course has been updated from last year, with wider fairways and shorter roughs, and analysts are expecting heavy hitters to have an advantage this year. Fans will have to wait and see if that means a new champion will be etched into the long history of the Valero Texas Open. Founded in 1922 as simply the Texas Open, the tournament can boast to being the 3rd oldest PGA Tour event and the 5th oldest professional golf tournament in North America. This year marks the 90th event, all held in historic San Antonio. Numerous courses have hosted the event including inaugural host Brackenridge Park Golf Course, Ft. Sam Houston Golf Course, Oak Hills Country Club and Pecan Valley Golf Club. The tournament has been played at its current home course, TPC San Antonio, since 2010. Given the age of the tournament, it has seen many legendary champions including Byron Nelson, Ben Hogan and Sam Snead. More recent champions include Zach Johnson, Adam Scott and last year’s champion Andrew Landry. Arnold Palmer and Justin Leonard both share the most titles with 3. The tournament also saw a bit of history when Al Brisch became the first golfer to card a round of 60 at the 1952 event. Fans are sure to enjoy their time in San Antonio, and the course lends itself especially well to fans looking to walk with their favorite pros during a round. General Admission tickets cost $25 for a day specific ticket or $35 for a good-any-day tickets. General Admission tickets are also available for $35 at the gate every day of the tournament. Children 12 and under are free for general admission. First responders and Military ID cardholders are eligible for complimentary tickets. Upgraded hospitality venue options begin at $60 with the Live Ultra at the U, an open air venue sporting a patio, tiered seats, a covered viewing deck, and open-air dining with an upgraded menu and bar service available for purchase. For an all inclusive venue, fans can opt for tickets to the Cabana for $325. The Cabana is another open air venue set between the 16th green & 17th tee and offers complimentary continental breakfast, full lunch buffet, afternoon hors d’oeuvres and hosted bar service. The Executive Club is an air conditioned venue overlooking the 18th hole that includes breakfast, lunch, afternoon hors d’oerves and full bar service for $425. Spectators can also purchase a Presidential Pass for $525 that allows patrons into all of the hospitality venues.